Keep your BC Biomedical equipment up to date with our safe and easy to use Flash Programmer! 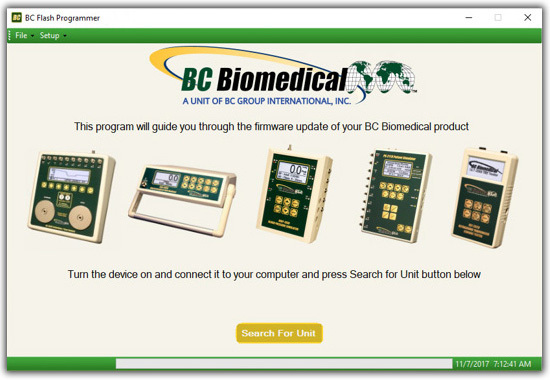 The Flash Programmer easily guides you through the firmware update of your BC Biomedical product. Download the software and follow the instructions to set up your equipment.